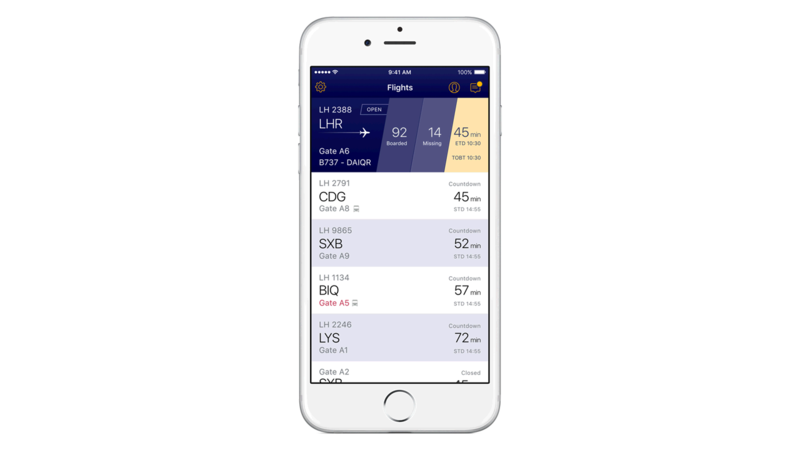 IBM MobileFirst for iOS Manage Gates enables customer service agents to plan and monitor the flight and boarding processes, oversee boarding and flight handling and react to changes on short notice – while receiving and providing up-to-date information to all stakeholders of the flight. The app consolidates the different systems and applications to easily monitor changing departure tables, flight status, gate assignments and shift assignments. Get access to context-specific real-time information so supervisors can plan and prepare for shift changes within an ever-changing environment. Supervisors are able to receive and provide up-to-date information to everyone involved with the flight.